WordPress is one of the most commonly used web site platforms. While it's extremely popular, there are some common issues that you can fix in a matter of minutes. Note: When troubleshooting issues with WordPress, it may help to enable debug errors, as shown in Enable debug errors in WordPress. In addition, it may help to be aware of certain compatibility issues with Page Builder, as shown in Incompatibilities with Page Builder in WordPress. Issue: Every time a visitor goes to your WordPress blog, the server processes PHP scripts and establishes a database connection—in other words, it's doing a lot of work. The busier your site is, the slower this process becomes. Slow page loads are problematic as they discourage visitors from visiting your site. The usual culprits are improperly configured or misbehaving plugins or using images that are hosted on other, slower servers. Consider installing plug-ins like W3 Total Cache, WP-Super-Cache, or WP-DBManager. Replace links to external images with images uploaded to your WordPress site. Disable all of your plugins and enable them one by one to determine which plugin is slowing things down the most. For more information, see Troubleshooting plugin issues in WordPress. Warning: If you are using Managed WordPress, you cannot install cacheing plugins like WP-Super-Cache or W3 Total Cache. This is because Managed WordPress already runs cacheing to speed up your website. Issue: If you manually installed WordPress into your hosting account (e.g. did not install it via GoDaddy Hosting Connection) and are getting an "Error establishing a database connection" message when trying to connect to WordPress, you need to modify your wp-config.php file to work with our database servers. Solution: See Why is WordPress unable to connect to my database during install? Issue: Corrupted themes can cause blank pages to load, particularly if you migrated your blog from another hosting provider. Solution: Change your theme back to the default, and then reinstall the theme you want to use. Click Appearance. A default theme is listed. Click Activate under the default theme. The Appearance page reloads. Click Activate on the theme you want to use, or choose a new theme. When you have the theme you want, return to the Appearance. page, select the theme you want, and then click Activate. Solution: If you have tried the above procedure, you should enable WP_DEBUG and WP_DEBUG_LOG in wp-config.php file. The contents of the debug.log file can help you and your site administrator narrow down the problem to a specific plugin, theme, or configuration option that might be causing a problem. For assistance, see Enable debug errors in WordPress. Note: As a courtesy, we provide information about how to use certain third-party products, but we do not endorse or directly support third-party products and we are not responsible for the function or reliability of such products. Solution: To see your changes in WordPress, you must Publish the pages you update. Using the Save and Exit button will only save a draft of your pages, they will not be seen by WordPress until you Publish from Page Builder. Issue: Without starting from scratch, can I get it back? Solution: In Page Builder, Click on Templates, choose a layout for your page and either Replace your existing content/layout or Append it to the bottom of your page. How do I add an email sign up form to the page content? Issue: It is in the footer by default, how can I add it to the page? 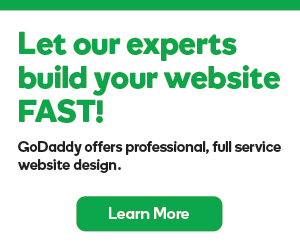 Solution: From Page Builder, click on WordPress Widgets and find GoDaddy Email Marketing. Drag the widget onto your page. How do I add social buttons to the page content?